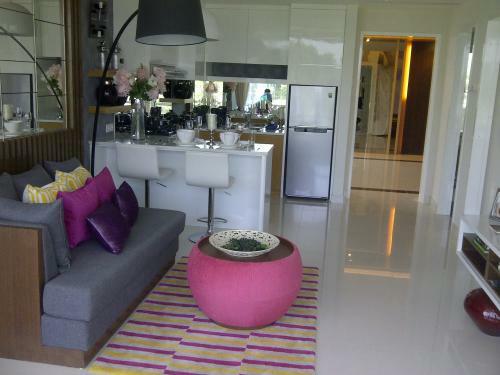 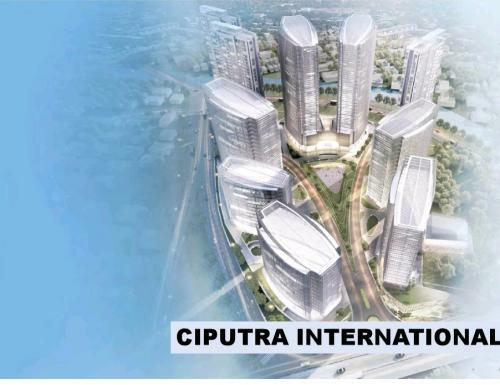 Ciputra International at Puri, sebuah superblok seluas 7.4Ha design by Ades. 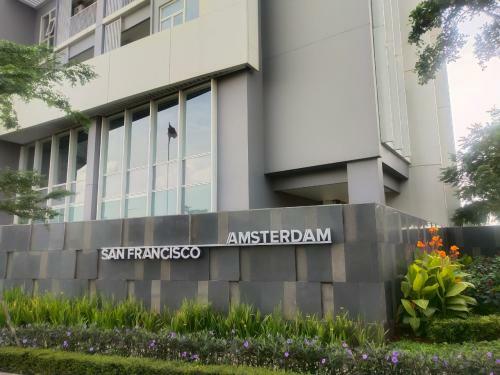 Dilengkapi dengan : 6 tower office salah satunya TOWER TOKOPEDIA CARE, 3 Tower apartement, 1 hotel bintang 5. 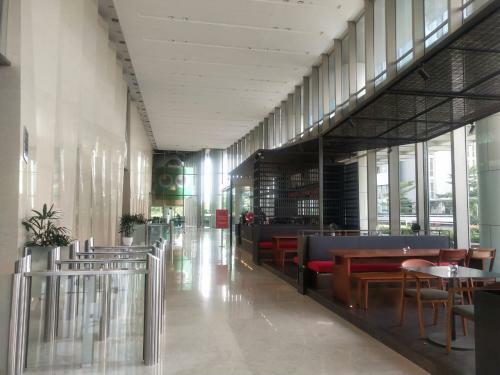 Dengan pangsa pasar 20 ribu esxecutive di 6 office tower dengan luas total 200.000 sqm. 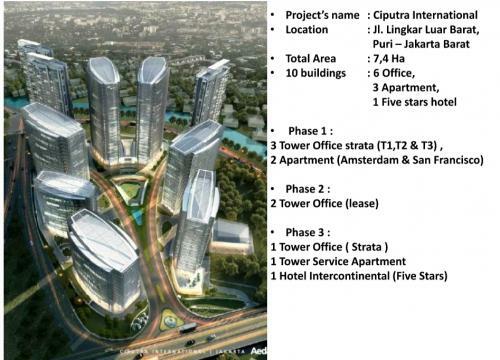 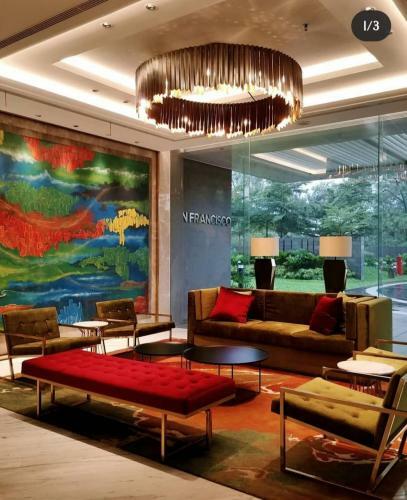 Facility: Ciputra International is set to be the new landmark in West Jakarta, a grand office superblock. 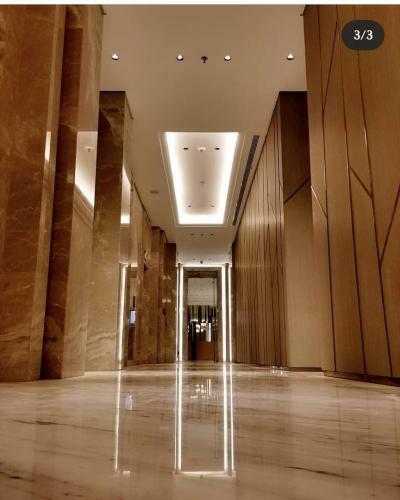 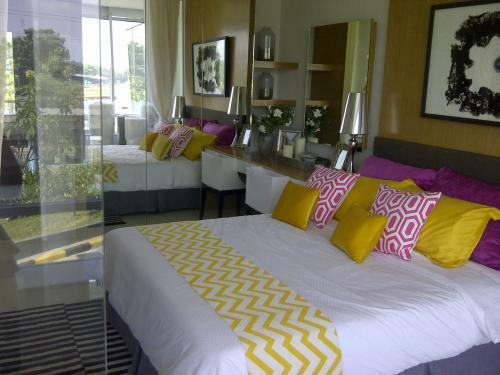 3 Luxurious Apartment Towers, 6 spacious Office Towers, 1 five-stars Hotel. 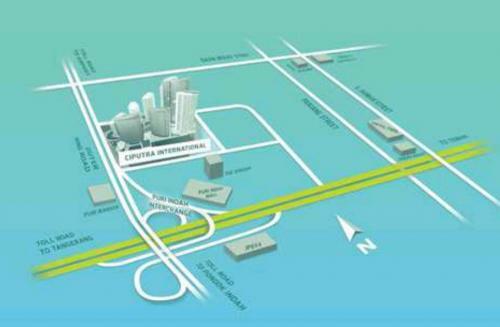 swimming pool and lifestyle center. 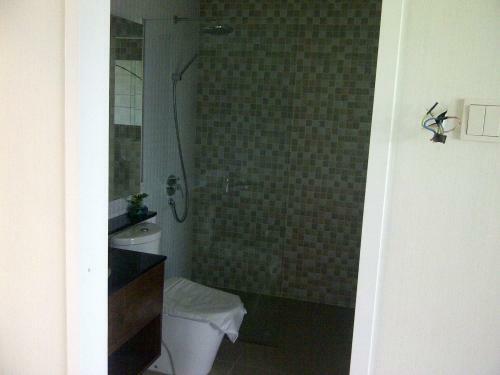 Additional Info: Perfectly placed only 5 minutes to Puri Indah.